The Doolittle Raid, led by Lt. Colonel James “Jimmy” Doolittle, took place on April 18, 1942. 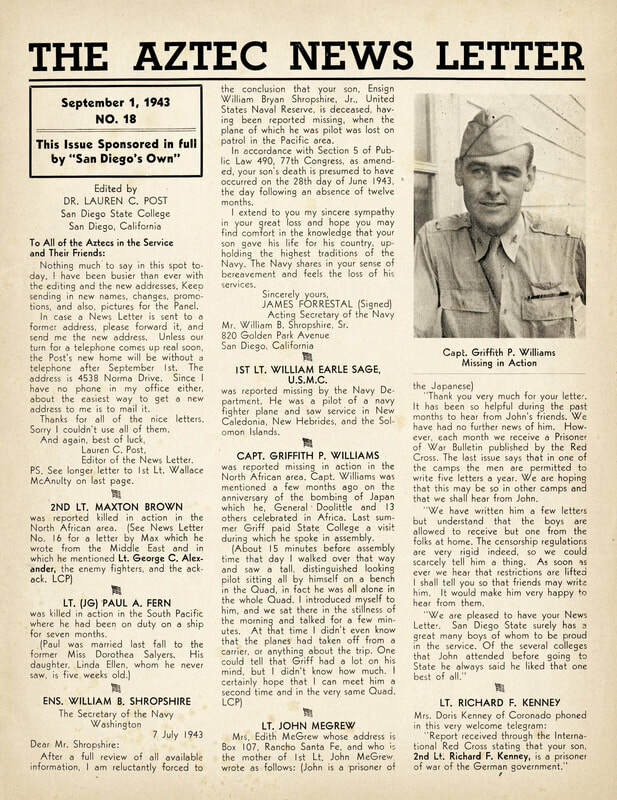 A young lieutenant named Griffith Williams, known to his San Diego State classmates as “Griff,” flew as a copilot on that mission. Griff survived the attack on Japan, and continued to fly bombing missions until he was shot down over Italy. Initially reported missing, Griff was captured and held at Stalag Luft III. Records courtesy of Muzeum Obozow Jenieckich/POW Camps Museum, Zagan, Poland.